Sure, you can use BIND (Berkeley Internet Name Domain) for your Domain Name Server (DNS). BIND is almost everyone’s favorite domain name server software and I’ve installed and managed it before. But, and it’s a big but, full-scale BIND can be a pain to run. So, unless I really need BIND’s full power, I use another program: Dnsmasq. 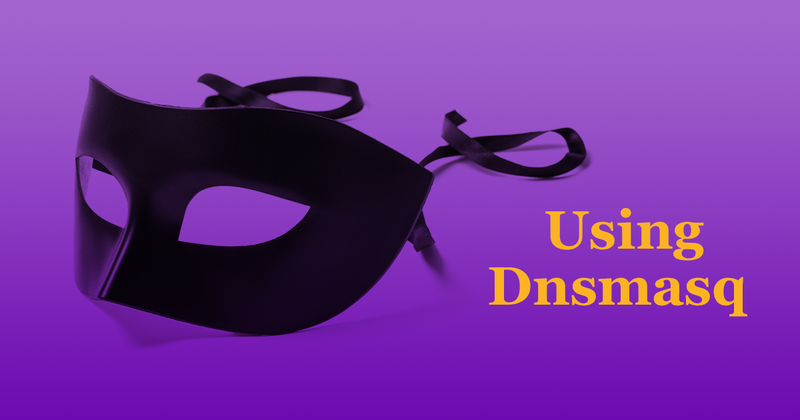 Dnsmasq is an easy-to-use and -setup caching DNS server. Stop laughing! It really is easy! As a refresher, DNS is the Internet’s master phone book. It turns machine-usable IP addresses into human-readable domain names. Linode provides good documentation on its DNS manager; how to set up a reverse DNS server, which resolves an IP address to a domain name; and common DNS configurations. Dnsmasq is a small, open-source application that’s designed to provide DNS and, optionally, Dynamic Host Configuration Protocol (DHCP), addressing to a small network. It also supports IPv4 and IPv6 static and dynamic DHCP leases, tftp, and BOOTP and PXE for network booting of diskless systems. For our purposes, I’m sticking with DNS. The program also supports Domain Name System Security Extensions (DNSSEC) upstream. With today’s seemingly endless DNS-based Distributed Denial of Service (DDoS) attacks, you MUST use DNSSEC. Dnsmasq is a lightweight program. In the past, I’ve run it in my home-office on a Hewlett-Packard 521n mini-tower PC with an AMD Athlon XP 1.4 GHz processor, 256MBs of RAM and a 60GB hard drive. In short, no matter how small your server or VM, you can run Dnsmasq. The program is also widely available. It’s included in almost all Linux distributions. Presuming you’re using Debian or Ubuntu, you’ll take the following steps to get Dnsmasq up and running. If you’re using another operating system, just use its default package installation routines. That’s it. Dnsmasq should now be running. This forces your server to use Dnsmasq for looking up the DNS record. You should put up the record in single milliseconds. That’s the big advantage of using Dnsmasq. It makes looking up frequently used domains — FAST! Dig is a DNS utility program. It gives you information about a site’s address and how long it took to get its IP address from the DNS server. By default, Dnsmasq will use the DNS servers setup in your /etc/resolv.conf file. On Linode, this will include Linode’s default DNS servers. I like to add additional DNS servers, so if the default DNS servers go south, it will keep working. Don’t go hog-wild with setting up DNS servers. Dnsmasq will only access the first three sites listed in the resolv.conf file. I usually add one of the Google Public DNS servers, 8.8.8.8 or 8.8.4.4 and one of Cisco’s OpenDNS servers, 208.67.222.222 or 208.67.220.220, to the default DNS site. You do this by adding them to resolv.conf with your favorite text editor. That’s vi for me. While, you’re in the resolv.conf file, go ahead and add 127.0.0.1 localhost as the first line. This enables Dnsmasq to cache DNS queries for queries from the local machine. By default, Dnsmasq treats all nameservers as equals. It picks the one to use by using an algorithm designed to avoid nameservers which aren’t responding. If you want to use the servers in the order you have them in the resolv.conf file, run dnsmasq with the -o flag. Dnsmasq is configured in /etc/dnsmasq.conf. I recommend copying the original to keep as a reference. For example, dnsmasq.conf-master. Every time you make a change to dnsmasq.conf you have to restart Dnsmasq. cache-size=1000 and change it accordingly. Once you have it running properly, your next step is to set up dnsmasq so it runs automatically. The easiest way to do this is to run it with cron. Why did I mention upgrading the cache? That’s because I’ve found Dnsmasq’s biggest advantage is the way it speeds up your DNS queries… a lot. Now, that’s the kind of DNS performance I want! Please feel free to share below any comments or insights about your experience with DNS, BIND or Dnsmasq. And if you found this blog useful, please consider sharing it through social media.